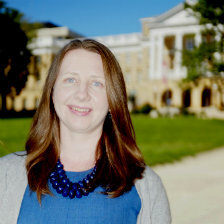 Booth Fowler ​Associate Professor of Political Science and Trice Faculty Scholar at the University of Wisconsin-Madison. I received my Ph.D. from Harvard University, and previously served as an Assistant Professor of Political Science at Yale University before joining the UW-Madison faculty. My book, Where Money Matters in Congress (Cambridge University Press), examines the influence of money on the internal politics of Congress and the biases it has for the policy-making process. Primarily a Congress scholar, my research revolves around three themes: the influence of money in American politics, understanding political parties, and exploring the complexities of congressional representation. My research has appeared in the Journal of Politics, the British Journal of Political Science, and Political Science Research and Methods among other journals. "Crowded Space, Fertile Ground: Party Entry and the Effective Number of Parties" (Joint with Daniel Kselman and Joshua A. Tucker Political Science Research and Methods). "Ideology and Party Pressure in Congress: A (New) Data-Based Approach"